Helicobacter Pylori (H. pylori) is a type of bacteria that infects about 50% of the world’s population. It is a bacterium that causes stomach inflammation (gastritis) and ulcers in the stomach and duodenum. This bacterium is the most common cause of ulcers worldwide. It is common in people who live in crowded conditions with poor sanitation. This bacterium is also believed to be associated with stomach cancer (gastric adenocarcinoma) and a rare type of lymphoid tumor called gastric MALT lymphoma. Helicobacter pylori infects both genders equally. The presence of Helicobacter pylori in the stomach induces a chronic, active, inflammation in almost everyone infected. Majority of people with Helicobacter pylori, however, are asymptomatic. Fewer than 10% of individuals colonised with Helicobacter pylori develop peptic ulcer disease, gastric cancer or mucosa-associated-lymph-tissue (MALT) lymphoma. 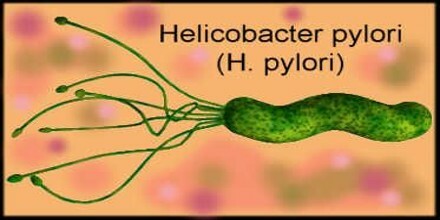 Infected persons usually carry Helicobacter pylori indefinitely, often without symptoms, unless treated with antibiotics to eradicate the bacterium. Also known as ulcer bug. pylori causes chronic inflammation (gastritis) by invading the lining of the stomach and producing a cytotoxin termed vacuolating cytotoxin A (Vac-A), and thus can lead to ulcer formation. Chronic infections with H. pylori weakens the natural defenses of the stomach so most individuals with symptoms need to be treated to prevent ulceration formation. 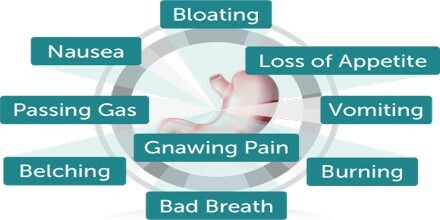 These are common symptoms that could be caused by other conditions. Some of the symptoms of H. pylori infection are also experienced by healthy people. 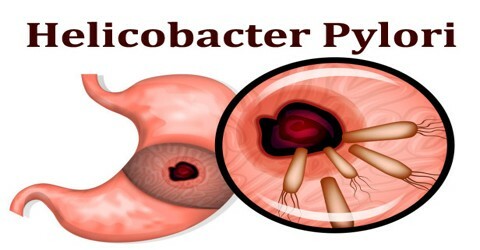 H. pylori has been associated with colorectal polyps and colorectal cancer. It may also be associated with eye disease. 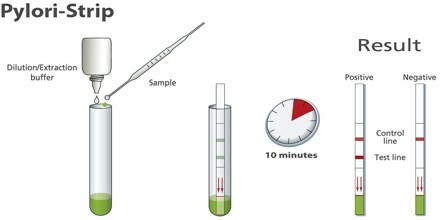 Testing for the H. pylori infection may be performed on blood, stool, or breath samples. Also, biopsies or small bits of tissue from the lining of the gastrointestinal tract obtained during endoscopy can be tested for the presence of H. pylori. Diagnosis depends upon the health care practitioner taking a patient history and asking specific questions. Aside from the infection, there are other, lifestyle-related causes of gastritis and ulcers including smoking, alcohol consumption, and nonsteroidal anti-inflammatory medication use, for example, aspirin, ibuprofen (Advil, Motrin), naproxen (Naprosyn, Aleve). In addition to testing to testing for the presence of the H. pylori bacteria, other blood tests may be performed to screen for anemia (low red blood cell count) and other diseases. A urine sample may be taken to look for infection. 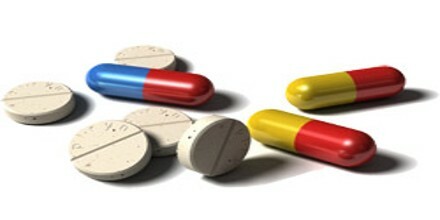 Treatment for H. pylori focuses on eradicating the bacteria from the stomach using a combination of organism-specific antibiotics with an acid suppressor and/or stomach protector. The use of only one or two medications to treat H. pylori is not recommended. Different countries have different approved treatments for H. pylori. The use of antibiotics to treat so many patients with various conditions it has become more difficult to treat H. pylori due to increasing occurrence of antibiotic resistant strains. As a result, up to 35% of patients fail the first line therapy. The substance sulforaphane, which occurs in broccoli and cauliflower, has been proposed as a treatment. Periodontal therapy or scaling and root planing has also been suggested as an additional treatment. Helicobacter Pylori is a major cause of certain diseases of the upper gastrointestinal tract. Rising antibiotic resistance increases the need to search for new therapeutic strategies; this might include prevention in the form of vaccination. Much work has been done on developing viable vaccines aimed at providing an alternative strategy to control H. pylori infection and related diseases, including stomach cancer. Researchers are studying different adjuvants, antigens, and routes of immunization to ascertain the most appropriate system of immune protection; however, most of the research only recently moved from animal to human trials. The presence of bacteria in the stomach may be beneficial, reducing the prevalence of asthma, rhinitis, dermatitis, inflammatory bowel disease, gastroesophageal reflux disease, and esophageal cancer by influencing systemic immune responses.